Müller-BBM VibroAkustik Systeme is part of the Müller-BBM group, an engineering company based near Munich, Germany, founded more than 50 years ago. The Müller-BBM group is an international company providing consulting services and sophisticated technical products, systems, and software at the highest level. Passionate about innovation and technology leadership, Müller-BBM VibroAkustik Systeme is continuously striving for excellence in acoustics and vibration. Our tight partnership with industrial leaders as well as our recognized expertise in vibroacoustics is fundamental for our technical innovations and establishes us as a strong partner for future-oriented testing solutions and turnkey integration in customers’ workflow processes around the world. We pride ourselves on offering first-class measurement and analyzing tools in the fields of acoustics, vibration and strength. 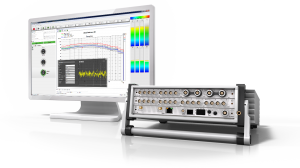 With PAK, our vibration and acoustics measurement system platform, users combine appropriately configured hardware and software (on a computer or a smart device) for their specific data acquisition needs. In doing so, users benefit from always being ready to measure as well as direct graphical representation of the measurement data. Data analysis, assessment, and modification tasks are completed in a clear and explicit way, during or after the measurement. Data management uses the latest cloud technology, allowing worldwide access to a corporate data network. Whether it is a mobile system for field use or synchronized larger system in the lab, we always have the appropriate solution for your needs. 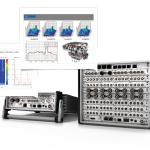 Our modular system, comprising of measurement hardware and analysis tools, offers you the opportunity to grow along with the changing requirements organizations regularly encounter. All common sensor types for the measurement of acceleration, strain, airborne noise, and structure-borne noise as well as the precise recording of rotation are supported. Due to the dynamic nature of these parameters, it is essential that analog, digital bus and timing data (such as IRIG, GPS, IEEE 1588 v2, and fiber optics) are sampled at exactly the same time to ensure accurate representation of the environmental conditions. Boasting extremely powerful graphics, PAK is a performant tool to help keep track of dynamic quantities in every situation. In order to perform efficient mobile measurements, important data is always clearly displayed online. Our PAK live technology assists users with real-time data and even enables them to undertake the measurement without any additional computer software. For extensive measurements in the lab, PAK offers standardized processes that guarantee solid and sustainable achievement of measurement and validation tasks. Regardless of the application, our emphasis is on a true open model. PAK measurements stored since 1995 can still be read and analyzed by the latest PAK version. This openness is complemented with the open data standard ASAM ODS. The data generated with PAK can be stored automatically in ASAM ODS ATF/XML format. We are continuously striving for further standardization of data and process management as ASAM organization member and as well as driver member in the openMDM® association. Our customers appreciate and benefit from long-term data availability.